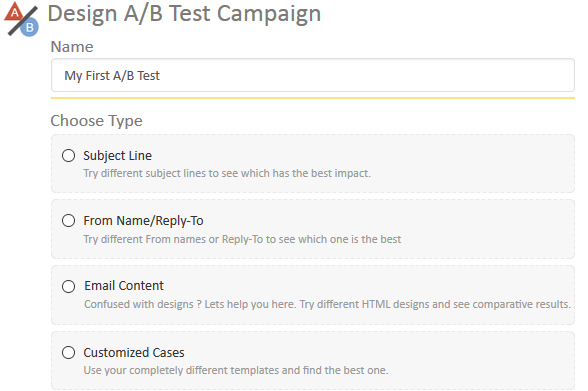 Send and compare two or more versions of a mailer to see which one performs better. Improve your approach and increasing revenue. Lets decide your customers what they want to see. 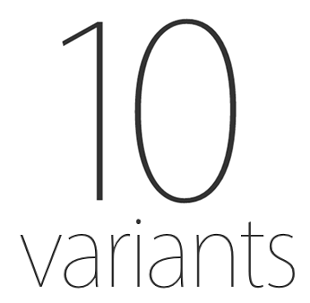 Add as many as 10 variants for your test. Nothing is larger than this. System will automatically give a color to each variant. Just for your easy. Distribute contacts between test variants just by dragging. 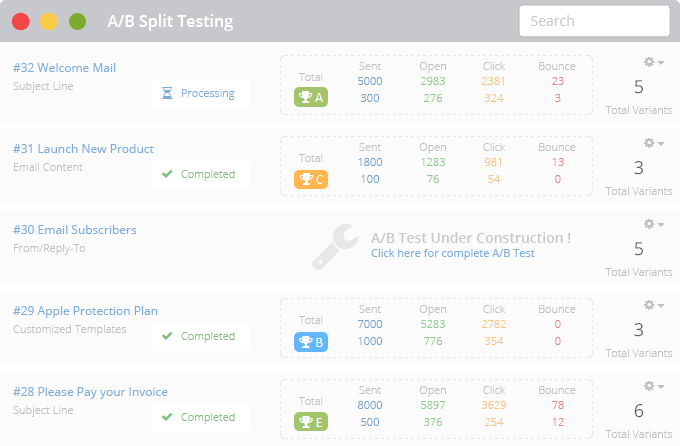 A quick view will show you that how many mails will be sent via each test variant and the remaining volume of the mails which will be sent via winner variant. Please have a look on the demo below. Set a winning condition and we will automatically select the winner and send the remaining campaign. Drag to set priority order of variants in case of a tie to choose winner.  Slider to distribute contacts between variants and final-run. Set a duration for which test will run. Manually select winner at anytime. Real time selection of contact. How to design an effective subject line? Is it helpful if you use Name of the subscriber in your subject ? How does a From-Name effect the open rate of the campaign ? Is your mailer designer worthy to be paid ? 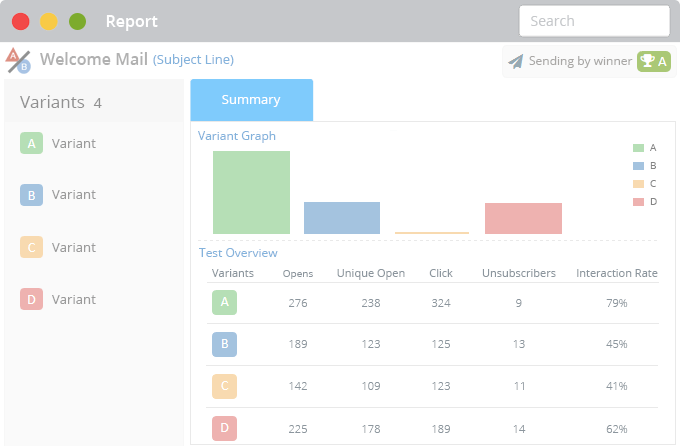 What is the best time range to send mails to your customers ?